Physiotherapy is well established and can be used to treat many physical conditions including back and neck pain and injuries, arthritis, frozen shoulder, tennis elbow and sports injuries. We can also help with neurological rehabilitation. Our aim is to help you get back to work, sport and the things in life you want to do. At Apothecary Natural Health Centre we provide treatments tailored to you as an individual. As well as assessing and treating the affected area, we assess and rebalance the whole body and work with you to regain fitness and stamina. 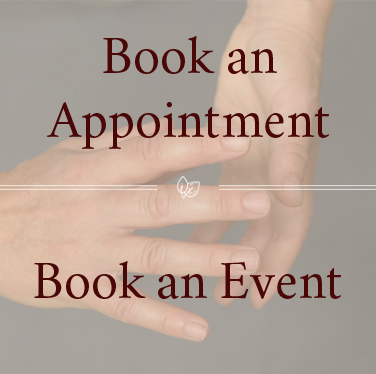 Our expertise in Acupuncture and Tuina Chinese Massage can be used to treat many conditions, both acute and long-term, and rebalance the body as a whole. We assess and treat you as an individual, looking at all aspects of your health and lifestyle. Traditional Chinese methods of diagnosis are used, including taking your pulse, looking at your tongue and observing your posture. We then discuss the best approach to treatment - often a combination of acupuncture and tuina massage - and work with you to support changes in your diet, exercise, relaxation and general lifestyle. All our practitioners are experienced and registered. To support our work we run Qi Gong, Yoga and Feldenkrais Classes. Qi Gong and Tuina Courses and Retreats. Our ethos is to provide all that you need to support and promote a healthy, enjoyable life. Low cost clinic for those on low income. Weekly Classes: Qi Gong, Yoga, and Feldenkrais. Community interest Art Gallery, providing affordable exhibition space for local artists, young artists and art to raise awareness of conservation and the environment. Our Shop has a selection of natural products. Qi Gong Classes and One Day Courses: Qi Gong Stretching, Qi Gong Meditation, Yang Sheng and Tuina. Welsh Weekend Qi Gong, Stretch & Rebalance and Tuina Retreats to unwind, discuss and practice on a deeper level in the beautiful hill country of Mid-Wales. Founder of Apothecary and lead practitioner Rosey Grandage MCSP MBAcC is a physiotherapist who travelled to China throughout the 1990’s studying and practicing acupuncture, tuina and qi gong. She taught tuina and Chinese medicine theory at University of Westminster for 17 years. Having worked for the NHS and in private practice since 1989, she started her first clinic on Greyhound Road in 2000. In 2004 she moved to number 33 where she now heads a team of expert, dynamic practitioners at Apothecary. See our reviews on Facebook and Google. Our team of practitioners are highly qualified, experienced and registered with a professional organisation. The majority of our acupuncture and tuina practitioners are members of the British Acupuncture Council which means they are accredited by the Professional Standards Authority for Health and Social Care. The PSA has been set up by the Department of Health and administered by an independent body which is accountable to Parliament. Lead Practitioner, Rosey Grandage, is also a member of the Chartered Society of Physiotherapists and the Health and Care Professions Council. This means that her practice is recognised by most health insurance companies.